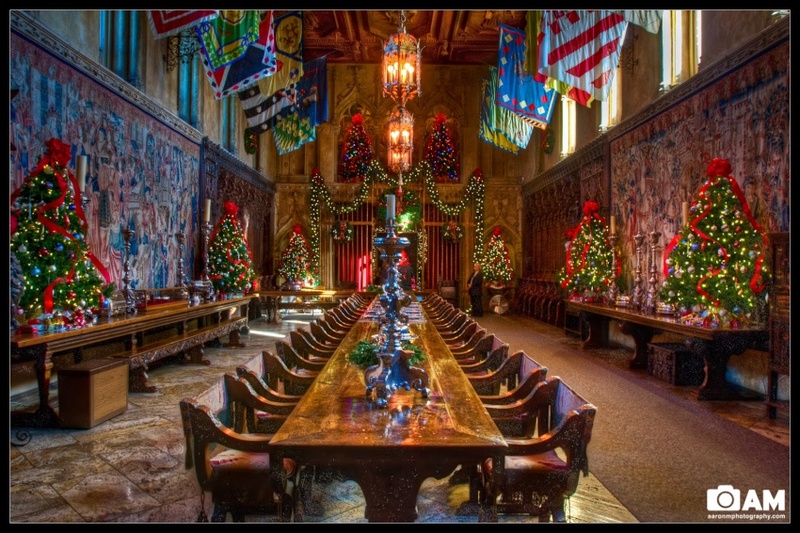 We happened to be at Hearst Castle a couple weeks before Christmas and they had their Christmas decorations up! When we walked into the main dining room I couldn’t help but wait for everyone to clear out so I could get a shot of the dining room decked out for Christmas. Isn’t it pretty?! HDR composed of 5 photos (1/20 sec, 1/80 sec, 1/40 sec, 1/10 sec, 1/5 sec) in Photomatix Pro and edited in Photoshop.